Every girl dreams of a flawless skin that makes her look different. So, what comes to your mind to rescue your skin is the plethora of beauty products available in the market. However, the million-dollar question is- which of these zillion products is worth a shot? Your face is always contaminated with problems like acne, blackheads and dryness resulting from stepping out or going to work every day. However, the truth remains, a few factors are out of our control which forces us to restore our beauty with beauty products. We girls always prowl for one particular product that can help us get a vibrant natural skin. For which we try out dozens of face products, under eye creams, and organic shampoos. However, have you ever experimented exclusively with Korean Beauty Products? No, I guess you’re mistaken about them. However, here I am talking only about Korean skincare products. I am sure you won’t believe what this utter territory has to offer! So, here I am answering all your questions with this write-up on Korean products which you’ve been missing out! Nowadays, Korean Beauty products are the latest rage in the women beauty range. Innisfree Second Skin Mask Nourishing: Innisfree, a well-known Korean company, manufactures this perfect adhesive mask which penetrates the skin internally and blesses you with a glowing texture. The skin mask has natural mineral extracts and nutrients which protect your skin from any skin damage. The mask hydrates the skin to retain your skin’s moisture, while its ultrafine structure and ceramide hold the humidity. Its name comes from fermented soybean sheet which seamlessly heeds the face like a second skin to deliver a healthy and glowing skin. Pilaten Black Mask for Blackhead Removal: With time, the unpleasant effects of air pollution start appearing on your face. The Pilaten black deep cleansing peel off mask is my recommendation to you to take care of blackheads on your face. It removes blackheads from their roots. Also, it is an easy task to get rid of blackheads with this mask as you can tear it off effortlessly. It purifies not only the skin but also gifts you with a long-lasting glow on your face. The active ingredients include polyvinyl alcohol, glycerol and propylene glycol to replenish the vitality of your skin. Innisfree Super Volcanic Pore Clay Mask: This clay mask is another excellent product from Innisfree which is highly enriched with organic minerals to ensure the refreshing look on your face. The Innisfree Super Volcanic Pore Clay Mask is handy in reducing sebum and resolving pore concerns. The clay prepared from minerals released by volcanic eruptions in Jeju is known to heal the skin and provide a cooling effect. As the capsule bursts, the mask exfoliates and removes dead skin cells. This product is the best for girls with dry skin. MIZON Snail Repairing Foam Cleanser: This MIZON Cleanser contains ‘snail’s secretion filtrate’ and ‘botanical extracts’ such as green tea that deepen the skin moisture and removes the impurities from the deepest pores of the skin. This product helps cleanse dirt, deep pores, dead skin and keeps blackheads at bay. So, make your skin soft and shiny this summer with MIZON Snail Repairing Foam Cleaner which has roots in the deepest parts of Korea. The Face Shop Chia Seed Moisture Recharge Serum: The Faceshop is the all-time favourite brand from Korea for beauty products that are responsible for millions of happy hearts working on its concept of ‘Science Meets Beauty’. Filled with Chia seeds’ freshness, it moisturises the rough and dry skin whereas, its cooling properties make your skin radiant. The serum’s hydrating emulsion helps in revealing the skin’s natural glow. 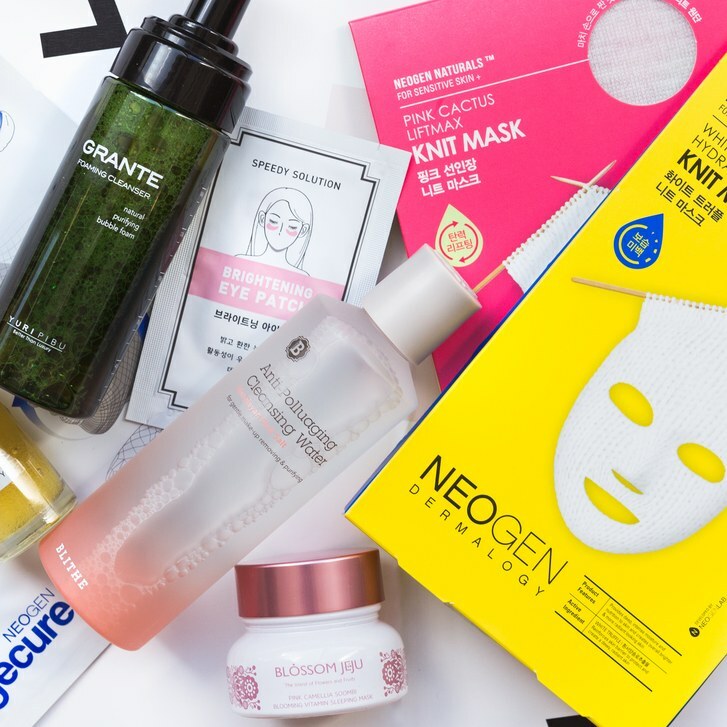 So, the products mentioned above are the five Korean beauty products that every girl must try to get clean skin.